Just minutes outside of Washington, DC, Gaylord National Hotel & Convention Center offers visitors to the Capital region everything they are looking for in a vacation, weekend getaway, business trip or just a night out. Discover our first-class destination with fun for everyone, including fine dining and casual restaurants, unique shopping experiences, an indoor pool, and a 20,000-square-foot spa and fitness center. And for late-night excitement, an express elevator speeds you to the two-story rooftop Pose Ultra Lounge. Whether you are coming to the Washington DC area for business or pleasure—or even a combination of both—Gaylord National is the perfect place to stay in order to enjoy the region’s rich cultural and business destinations. Located in National Harbor, Maryland in Prince George’s County, Gaylord National offers its guests convenient access to Washington, DC with an hourly shuttle service, water taxi to Old Town Alexandria, and shuttle service to Ronald Reagan National Airport. 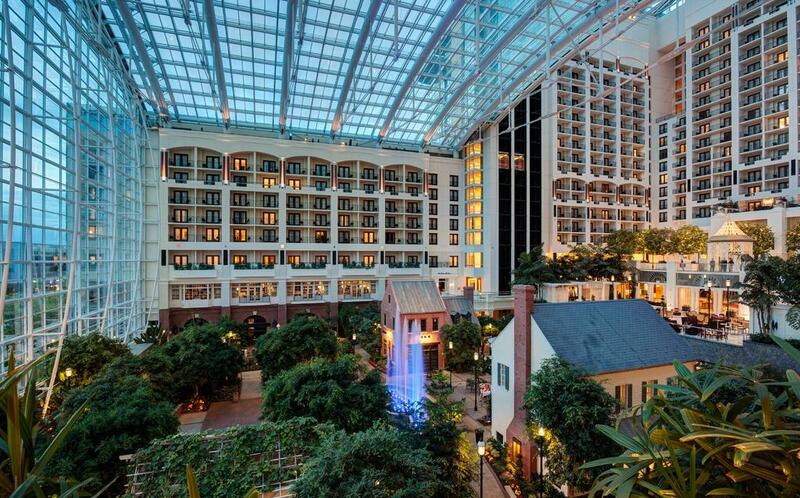 With 2000 luxurious rooms, including 110 lavish suites, our spectacular 18-story glass atrium welcomes you to the hotel, offering sweeping views of the Potomac River, Washington, DC and Old Town Alexandria, while a river meanders through the lush, multi-level indoor gardens. 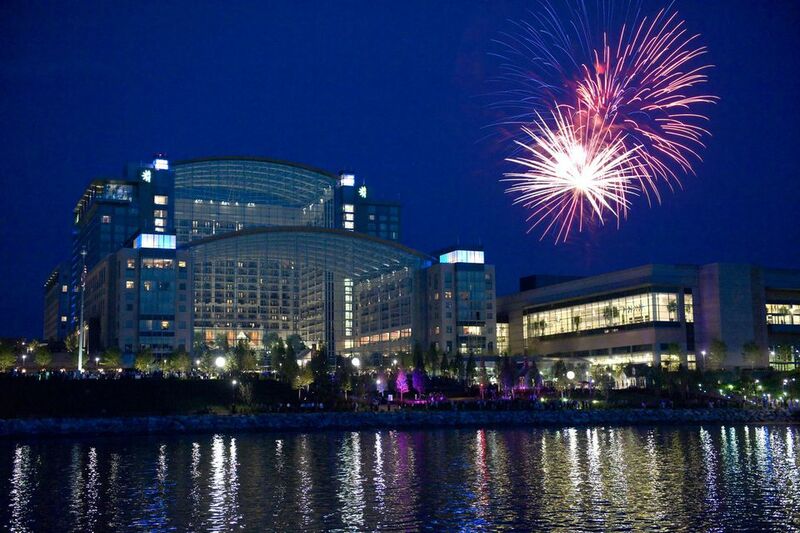 Come and discover for yourself the jewel of the capital region—Gaylord National Hotel & Convention Center. Take a peek underneath our majestic climate-controlled glass atriums and discover the “wow” factor. Gaylord National Resort offers guests a first-class destination with first-class dining, an award-winning spa and salon, entertainment and special events.. Whether you are on a business trip, looking for a weekend getaway or just a night out. You will be sure to find the perfect experience for you and your family to make a lasting memory.